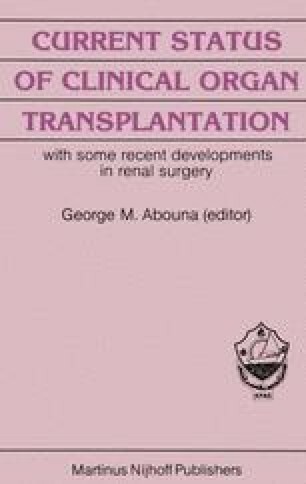 The number of cadaveric kidneys available for transplantation continues to be insufficient in most parts of the world. The persistent shortage of donor kidneys is reflected by increasing waiting lists of patients with end-stage renal failure and prolonged waiting times for renal transplantation. Activation of donor procurement programmes is necessary in order to reduce the shortage of donor organs. The influence of donor age is important, because donor age limits directly affect the number of available kidneys. Adult cadaveric donors under 50 years of age are the preferred organs source in many transplant centers. In view of the insufficient number of available kidneys, it is essential to avoid waste of useful donor kidneys. However, transplantation of unsuitable donor kidneys should always be avoided. Therefore a study was performed to determine advisable upper and lower age limits for cadaveric kidney donors, to enable us to make optimal use of the organ donor potential.